www.AnythingIWannaWrite.com: SarawakReport.org or SarawakReportS.org ?? SarawakReport.org is basically a site specifically reporting news from Sarawak, without any control from Malaysia/Sarawak government. 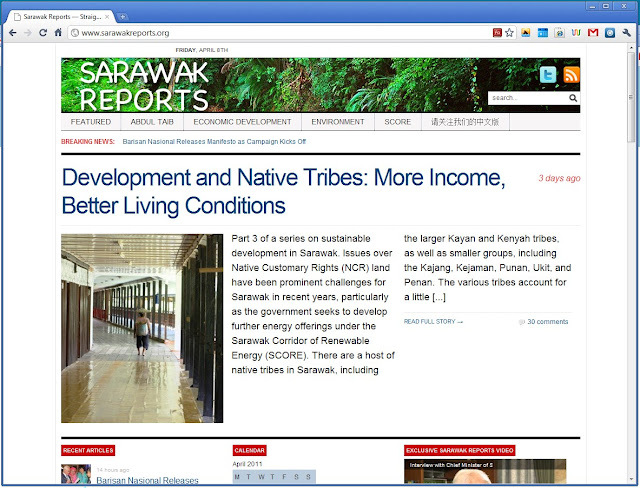 So, what we can see from the site is truly unfiltered news, without any bias to any parties. 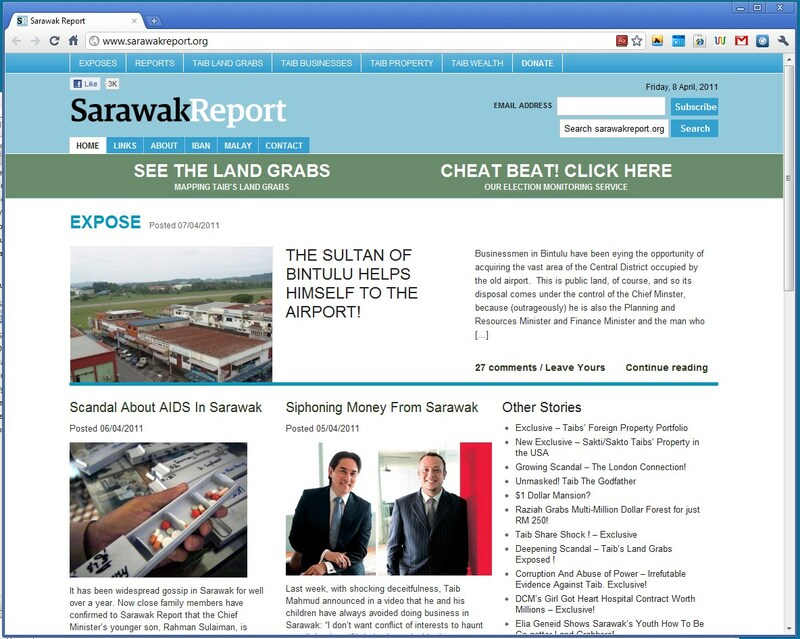 So, for all Sarawakian, please read from the genuine www.SarawakReport.org, and don't fall for Taib's trick on www.SarawakReportS.org..